Some cannabis growers may soon find themselves with a lot less irrigation water if the U.S. government decides to block the use of federal water for state-legal marijuana cultivation. Local water districts in Washington state and Colorado, where recreational marijuana is now legal, contract with federal water projects for supplies. Officials from some of those water districts said they assume the feds are going to turn off the spigots for marijuana growers. “Certainly every indication we are hearing is that their policy will be that federal water supplies cannot be used to grow marijuana,” said Brian Werner at Northern Colorado Water Conservancy District, which handles approximately one-third of all water for northeastern Colorado and is the Bureau of Reclamation’s second-largest user in the number of irrigated acres. Washington state’s Roza Irrigation District, which supplies federal water to approximately 72,000 acres in Yakima and Benton counties, has already issued a “precautionary message” to water customers that may be involved in state-legal cannabis growing. Marijuana exists in a funny limbo in this country. Despite a growing number of people who feel it should be decriminalized, or outright legal – and regulated – it remains a controlled substance. And, as such, we have a multibillion-dollar industry in Canada attempting to operate under the radar of the law. Weed is grown covertly on farms, in houses, condos or industrial bays, but is used widely across the country. Often, the grow sites are booby trapped, electricity is stolen, and the property is contaminated, both with chemicals used in growing and mold damage. A fire at a Calgary grow op even levelled a number of homes in 2009. Police say there is also the risk of break-ins and home invasions associated with these things. Despite all of these apparent dangers Albertans just don’t care, or aren’t aware. That’s one of the key findings in a new provincial report prepared by Calgary MLA Rick Fraser, the associate minister of public safety. “The prevalent view of marijuana use is that it is either used as a recreational drug or for medical purposes,” he says in the report. It’s not really until people find themselves living next to one that they perceive this as a problem. Do you smoke pot? According to stats I saw this week, 12 per cent of Ontario residents 15 and over smoked marijuana at least once over a recent 12-month period. Which is about 1.3 million Ontarians. Or about 130,000 people here in York Region. This is according to Statistics Canada’s Canadian Community Health Survey for 2012, which asked Canadians over 15 if they used cannabis or hash. Keep in mind these were only the people willing to admit to using pot. The real numbers could be a lot higher, pardon the pun, considering this is a type of behaviour not everyone would readily admit to on a government form. For political prognosticators, that’s a lot of Justin Trudeau supporters. Maybe that’s why Stephen Harper’s poll numbers seem to be going up in smoke. And here I thought some people were just really happy, really hungry, or had the giggles. Next time someone laughs at one of your jokes, you’ll be tempted to ask, “Did you actually think that’s funny, or are you just high?” And stop eating those Cheesies. Obviously it can’t be just teenagers, whose current slang words for cannabis or getting high – according to this thing called Google I have on my computer – include to get blazed, chief, burn one, bent, kush and, well, by the time someone like me is using them in a community newspaper, they may already be obsolete. Point is, considering the stats, there must be professors, lawyers, MPs ( such as the aforementioned Mr. Trudeau ), journalists, the Ford family, and many others out there, who you would not think of as your typical pot smokers, who are, in fact. Don’t get me wrong. I don’t have a whole lot against people who smoke up. The Drug Enforcement Administration is concerned about a surge in the illegal shipment of marijuana from Colorado since the state legalized the drug, and is trying to crack down on minors’ use of the substance, the head of the agency said Wednesday. Administrator Michele Leonhart said the DEA is troubled by the increase in marijuana trafficking in states surrounding Colorado and worries that the same phenomenon could be repeated around Washington state, where recreational marijuana is expected to be sold legally soon. In Kansas, she said, there has been a 61 percent increase in seizures of marijuana from Colorado. Speaking to the Senate Judiciary Committee, Leonhart said the softening of attitudes nationwide about the risk of marijuana has confirmed some of the agency’s fears. The Obama administration released a memo in August saying it would not challenge legalization laws in Colorado and Washington as long as the two states maintained strict rules regarding the sale and distribution of the drug. In the memo, Deputy Attorney General James M. Cole stressed that marijuana remains illegal under federal law. The Justice Department directed federal prosecutors not to target individual users but instead to focus on eight areas of enforcement. Those aims include preventing the distribution of marijuana to minors, stopping the drug from being grown on public land, keeping marijuana from falling into the hands of cartels and gangs, and preventing the diversion of the drug to states where it remains illegal. DEA officials have expressed frustration privately about the legalization of marijuana by Colorado and Washington state, where local officials consider the change an opportunity to generate tax revenue and boost tourism. The Journal of Neuroscience recently published a study linking recreational marijuana use to subtle changes in brain structure. The researchers, led by Jodi Gilman of Massachusetts General Hospital, identified increased gray matter density in the left nucleus accumbens and some bordering areas. The study was fine, but the media coverage was abysmal. Reporters overstated the findings, mischaracterized the study, and failed to mention previous research done on pot smoking and health. Goldfish may not have a three-second memory, but some journalists seem to. When a new paper comes out, it’s often treated as the first ever and final word on the topic. There is a significant body of literature on the neurological and wider health effects of marijuana, and to ignore it when covering new studies seems to me a form of journalistic malpractice. 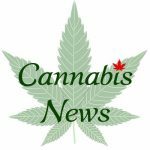 A press release from the Society for Neuroscience trumpeted the Gilman study’s importance because it looked at casual users rather than regular pot smokers, who form the basis of most marijuana studies. That claim is dubious in the extreme. The subjects averaged 3.83 days of smoking and 11.2 total joints per week. Characterizing these people as casual pot smokers was a great media hook, but it defied common sense. Occasional users wondered if they’d done permanent damage, and parents were concerned that their teenagers might face profound neurological changes from experimenting with pot. Any reporter who read the study, however, should have known not to take that bait.